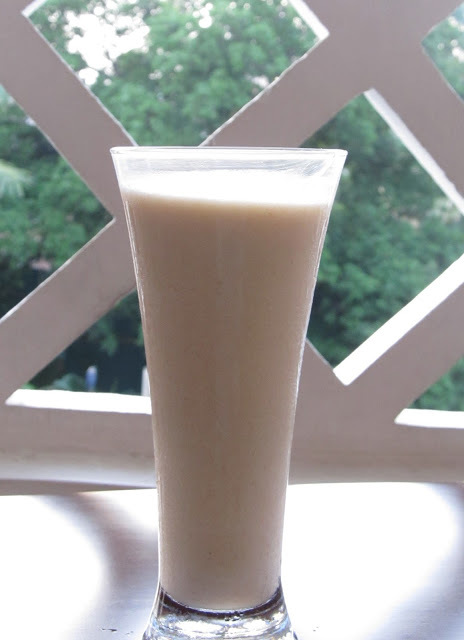 My recipe for the day is Apple Cinnamon Lassi. Its an easy drink to make and is very refreshing. You can substitute apples with strawberries, grapes, mangoes or any other fruit. (am not sure about bananas though, will try it and post my comments. Peel and deseed the apple. Chop the apple and put in a blender along with fresh curds, cinnamon powder and sugar. Pour in a glass and serve chilled! !